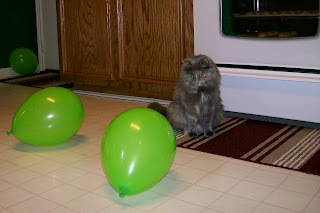 Our cat, Gertrude, has really enjoyed the balloons from Dawson's Shrek party. She's played with them more than he has. She'll bat them all around the house, and even when they pop, she's undeterred and will simply start playing with another one. 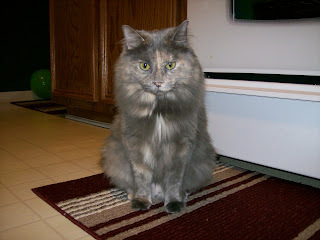 She's such a silly cat.